Supports four input channels which can be crosspoint-routed to any of 16 DA outputs. 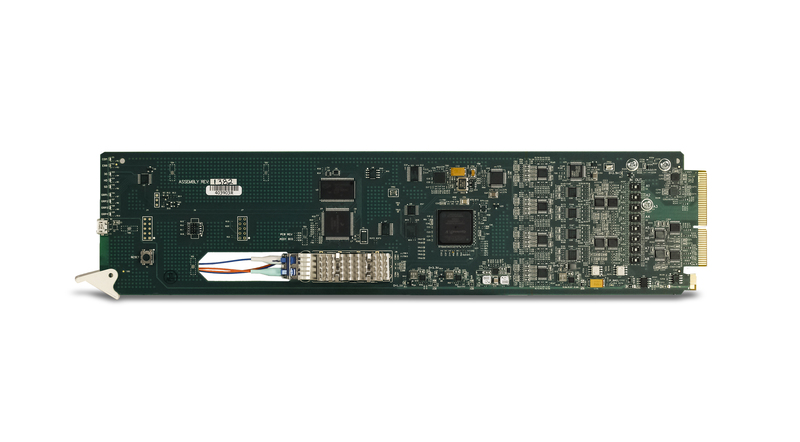 The MultiDyne OG-5220-EO 3G/HD/SD-SDI Fiber-Optic EO Transmitter with 16-Channel AES / 8-Channel Analog Audio Embed / De-Embed offers full-flexibility AES and analog audio embedding/de-embedding with SDI-to-fiber EO in a basic, economical, high-efficiency openGear® card. 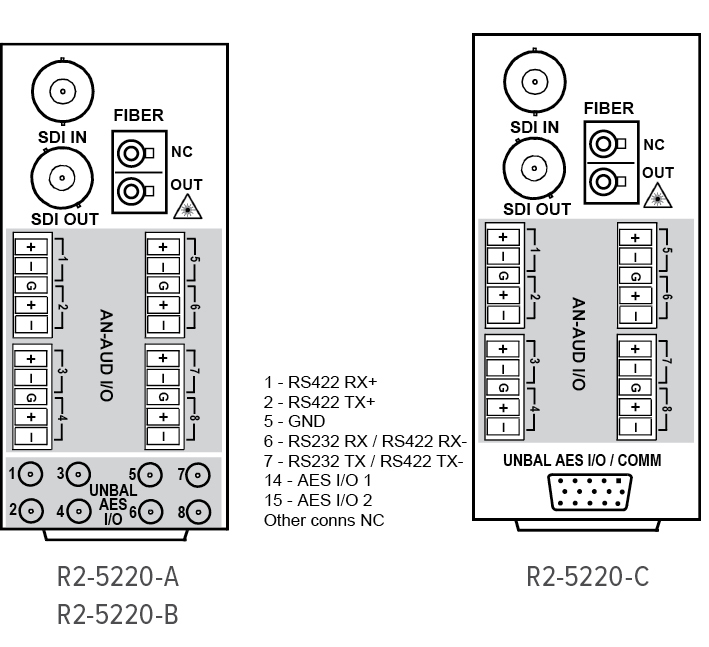 More than only a basic embedder/ de-embedder, the OG-5220-EO offers the flexibility of SDI-to-fiber EO as well as providing fully flexible AES and analog audio embedding/de-embedding. 16-channel AES support and 8-channel analog audio support in one card. Individual per-pair embedding or de-embedding. Provides four-group SDI embed/de-embed and cross-conversions between analog and AES discrete audio. DashBoard™ status display, audio meters, tone generators. GUI audio meters provide ready assessment of content presence and line-up. Audio embed adaptive SRC allows asynchronous 48 kHz AES audio to automatically sync with video 48 kHz timing for glitch-free embedding. Individual, per-pair SRC auto-detects and disables SRC when a Dolby pair is detected on an input pair.